The United States has 28 million registered small businesses. If you thought competing against 28 million businesses was bad, get this - As many as 543,000 new companies open their doors every month. To cut through all that clutter and ensure continuous growth, it's imperative that businesses leverage digital marketing strategies that can help them connect with customers in their area who are likely to buy. Therein lies the value of SEO. SEO (or search engine optimization) allows businesses like yours to surface at the top of search results pages. Those results pages get over 4.5 billion hits on a daily basis. SEO is valuable to brick-and-mortar business as it targets local searchers likely to walk into your store. All that only scratches the surface of the benefits of SEO Westlake Village businesses can enjoy! Here's a list of eight more! SEO, at its base, means understanding the keywords and phrases people are searching for online. You then make your relevant content better align with those searches so search engines match you with more customers. Taking the time to research what your customers want and building your online presence to meet their needs works! 93% of all traffic online comes from search engines. If your web presence isn't optimized for engines like Google and Bing to be able to parse your content, you only connect with 7% of consumers. These people are researching products and services like yours, but going somewhere else for them. Imagine how well your business could do if you opened it up to a customer pool that was 13 times larger! People trust Google. As mentioned in this article's intro, Google fields as many as 4.5 billion searches per day. This should give you a good idea of how much people rely on the platform. If Google has your Westlake Village business at the top of its results pages when people search something like, "Best Pizza in Westlake Village", local searchers are going to see that and have an anchor dropped in their brain that Google endorses the quality of your business. Small businesses often find themselves crushed by larger organizations. It's hard for a mom and pop store to keep up with their marketing spending. That's where one of the biggest benefits of SEO comes into play. SEO can be 100% free. Beyond investing in bringing on an expert to help you roll our your SEO plan, being successful at search engine optimization costs no money. SEO gives your business the opportunity to compete with bigger companies without breaking your budget! SEO gives you a gift that's so much better than ranking high in search engines. It gives you insight on what your target market is searching for. Let's say that you're an ice cream shop owner and your SEO consultant finds that 3000 people are searching every month the term "Chocolate Chip Ice cream in Westlake". Now let's pretend that Chocolate Chip isn't a flavor that you offer. Armed with that insight, you could now start carrying that flavor. You've now potentially opened up your business to 3000+ more customers! That level of consumer understanding is invaluable. When you invest in paid ads online that attempt to drive local traffic to your business, once your ad spending evaporates, your ads go away. With SEO, if you start ranking high in search engines for certain keywords you could hold onto that number one spot for a very long time at no cost to you. That's the equivalent of having an advertisement for your business at the top of one of Google's pages for free! If you're a local business owner in Westlake, you may think that your online presence doesn't matter since your sales happen in person. The issue is that 70% of consumers use internet research to decide which businesses they're going to go to. If your business is popping up online below your competitor's, you're going to get overlooked. 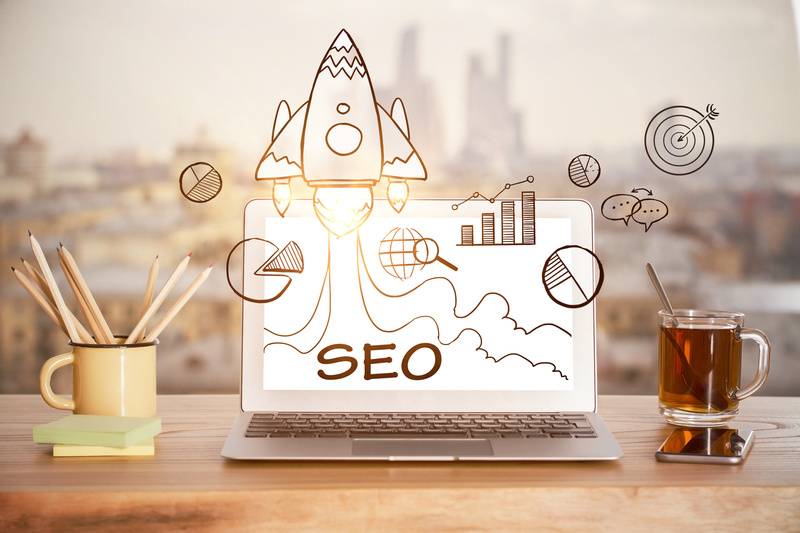 If you know that people interested in your products are responding to a particular "buzz phrase", targeting that phrase online isn't the only way your business can reap the benefits of SEO. You can use that phrase in your window displays, on business cards and more! When people see that you're identifying with what they're thinking, they're more likely to become customers. As many as 82% of Americans ignore online ads. Because of that reality, capturing consumer's attention online is cheaper and easier with SEO. You aren't limiting yourself to the 18% of internet users who still allow online advertisements to influence them. If you own a business in Westlake Village, you're probably racking your brain for ways to capture the attention of the area's 9,000 residents. Our recommendation is to follow our tips above and invest in SEO. The benefits of SEO extend from helping you better understand your customers all the way up to getting passive endorsements from the biggest websites in the world (Google, Bing, Yahoo, etc.)! If you want to get started discovering and implementing your Westlake Village SEO strategy today, our team can help. At Mighty Fish Digital Marketing, our group of SEO experts specializes in helping small business owners like you capture the attention of thousands of local customers. Learn more about the value we can bring to your business by getting your free Local SEO Audit today!